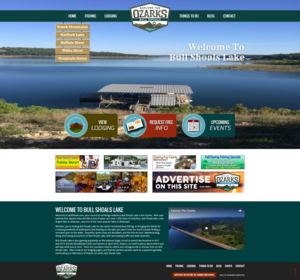 We are pleased to announce that bullshoals.com by Explore the Ozarks has officially launched! The VisionAmp team is very excited to work with local business owners in the Bull Shoals area to provide potential visitors the best information available online. It is our goal to represent the area with as much organic content as possible; therefore, we would love to give all of our advertisers a monthly blog post in order to help promote their business or activity. For content publishing options, please email info@bullshoals.com!